Recently I had an opportunity to speak to students in WPI’s architectural engineering program about the benefits of CSI, with Marty Helly, Worcester Chapter board member and President of the Northeast region. I was surprised by the number of students that came to hear our presentation, and equally surprised by the level of interest they held. The evening reminded me of my own introduction to CSI, which was an invitation by my Structures professor at Syracuse to attend a CSI meeting and see what it was all about. I went and enjoyed the program, and well, the rest is history as they say. But I wonder if I’d be involved in CSI, were it not for that initial introduction to the organization back when I was a student. This month I want to ask the readers to consider reaching out to a younger professional and inviting them to attend a meeting. Maybe a relative studying an applicable field in College, a junior staff member around the office, or maybe one of the younger folks who came to that lunch-n-learn you gave last week. Most times, that outreach of a personal invitation can be the difference that motivates someone to come out for the event rather than skimming a flyer or an email. Let them know there’s an opportunity to network and make connections. Let them know the technical program is sure to increase their knowledge in a hands-on, interactive way. Be sure to let them know that the program is free, and the Chapter comps the meals for students. And if you don’t have anyone to invite, make time to talk with any new, young professionals you see at the program. We were all new members at one point, so think back to your own reception at that first meeting, and recall how awkward it may have felt to know nobody in the room but how having a person or two start up a conversation with you made all the difference. You may be surprised that networking and connecting with the younger generation has more value than you’d expect. Ask about trends their faculty are teaching in design class, what new software are they using in school, and what their current vision of the profession is. 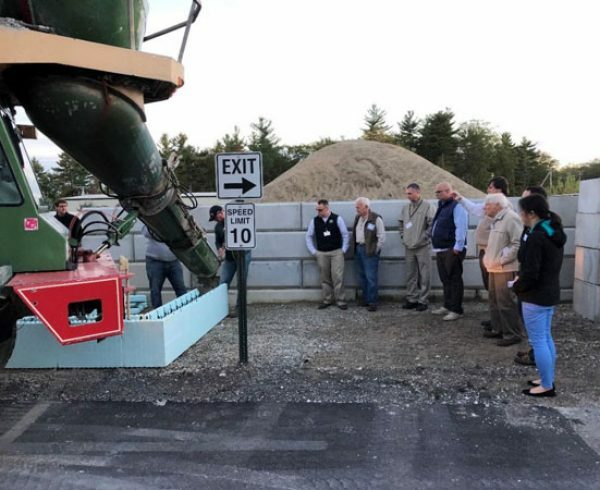 Kids these days have never known a time without sustainability, BIM modeling and 3D rendering and may even know more about those topics than you do. Our next event will be a panel discussion about the difficult details where the roof meets the wall, November 20. Check out the flyer at the back of the newsletter for the complete details, and reach out and invite someone. A 270 Foot Tall Wood Framed Building? 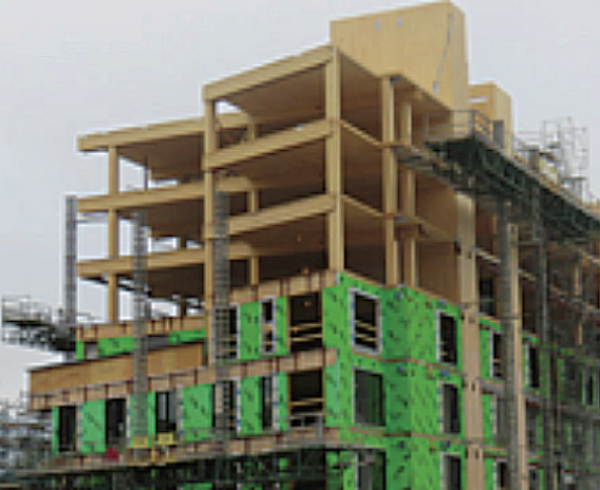 In 2015 the International Code Council formed an Ad Hoc Committee on Tall Wood Buildings to explore code changes to permit larger structures than currently allowed to be constructed of mass timber framing.